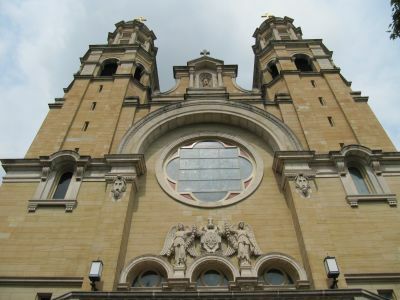 The Basilica of Saint Mary of the Assumption is open daily from 7:30 AM until 7:00 PM. Visitors of all faiths are welcome. Self-Guided Tours: Tours can be scheduled any time between 10:00 AM and 6:00 PM as long as they do not conflict with Masses, weddings, or funerals. Self-guided tours take approximately 45 minutes, but you are welcome to visit as long as you wish. 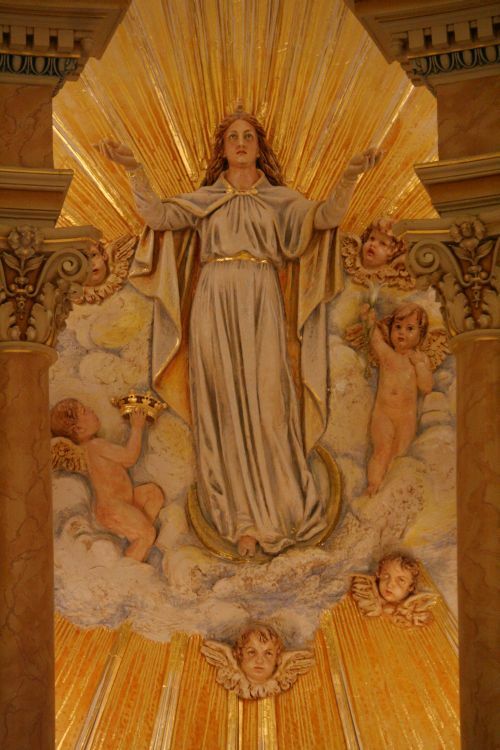 Copies of the tour brochure are available at the entrances of the Basilica. Group Tours: We welcome groups for pilgrimages and tours! Click to arrange your group visit, and to request a guide. Lunches: Pre-arranged lunches offer a variety of menu choices. Click for group lunch order form. 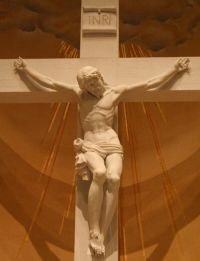 Gift Shop: Divine Mercy Gift Shop will be open during your pre-arranged visit. There you will find a unique assortment of items for everyone. 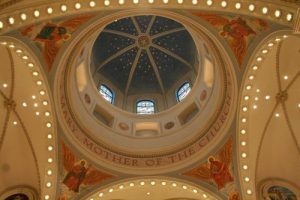 Tours: Tours of The Basilica of Saint Mary Of The Assumption are free of charge, although donations are accepted and go toward offsetting the cost of ongoing renovations and maintenance. 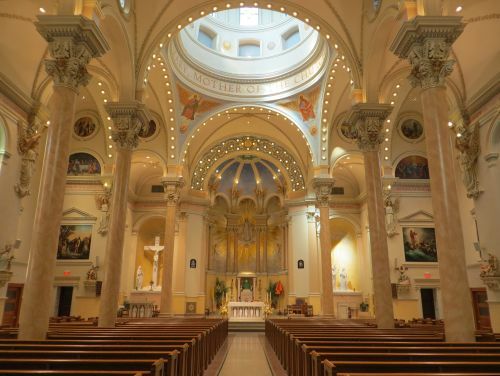 We hope you will consider making a visit to The Basilica of Saint Mary Of The Assumption soon.